The BA Hons Adventure Facilitation and Education Degree provides a part-time distance learning opportunity for students employed or volunteering within the outdoor and adventure education sector. Three possible step-on/step-off points enable prospective students with varying blends of experience, professional and academic qualifications to engage with us at Levels 4, 5 or 6. Students who have completed a Foundation Degree or HND in Outdoor Education or a related subject area could join to study at Level 6 and secure an Honours Degree, while students with lower levels of academic attainment could engage at levels 4 or 5 and continue all the way to BA Hons, or step-off with a Foundation Degree following successful completion of Level 5. The programme highlights our commitment to widening participation to Higher Education by providing a more flexible mode of study and allowing access to those unable to study full-time. The course content draws on your existing knowledge and experience and develops the theory to practice links that are essential for an effective facilitator. The flexible mode of delivery recognises that you are likely to be in employment. The course content draws on your existing knowledge and experience and develops the theory to practice links that are essential for an effective adventure facilitator. In addition to an independent research project, you will complete 5 modules. The course provides a supportive transition from FDAE and HND study. The world-class Tudor Hale Centre for Sport is the focus of sporting activities, both academic and recreational, at the University. All of our facilities are designed for academic teaching, research, British Universities and Colleges Sport (BUCS) competitions and for your social/recreational use throughout the week and weekends. 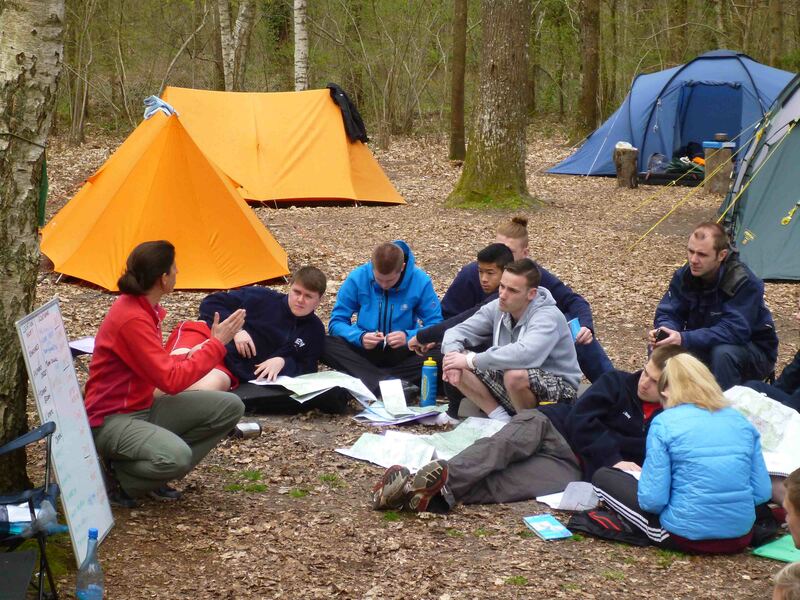 A wide range of professional opportunities await Adventure Education graduates from Chichester. Recent data revealed that over 50% of our graduates work in education having gained qualified teacher status working in schools, colleges and outdoor adventure contexts. Other popular choices for our graduates are in adventure tourism, recreation and leisure management, the military and the police. A small but growing number of graduates have set up their own adventure-based business either in the UK or overseas. Many graduates have continued with their studies gaining Masters Degrees in physiology, psychology and education. Some graduates have also gained scholarships for doctoral studies leading to lecturing in Higher Education and research in the UK and overseas. We understand the importance of ensuring that you have the knowledge, skills and experience to compete successfully in today’s challenging jobs market. Whilst these degrees will prepare you for a career in the rapidly growing field of adventure education it also provides an opportunity for students who simply wish to further their understanding of adventure education in an applied context. Provide a free matching service to identify the needs and aspirations of both graduates and employers. Identify and promote short-term student employment opportunities with a focus on specific sectors. Ensure that there is a range of opportunities to be provided including internships of both short and long duration. Sign-posting Chichester graduates to other universities’ internship schemes in their home area, where available. * Gaining an internship is the result of a competitive interview process with the prospective employer so an internship cannot be guaranteed. The programme is intended to provide a progressive work experience package tailored both to your course and your career aspirations on graduation. The modules have been specifically designed to enhance your ability as a facilitator, the flexible mode of delivery and assessment allows you to manage your learning and work commitments. You’ll build subject knowledge and practical experience through core modules in all years with option modules allowing you to specialise more in years two and four. Learning centres on theory in practice where each module will have practical application of academic frameworks to relevant outdoor and adventure activities and contexts. The work placement year develops your practical skills, knowledge of the diverse nature of the outdoor sector, theory in practice and professional skills. You will typically study four modules each semester with each module worth 15 credits to gain 120 credits to complete each academic level. Modules are assessed usually at the end of each semester with most modules having at least two modes of assessment.